When you are looking to purchase a metal garage, there are no shortage of options. But one important consideration while comparing steel garages is what steel gauge framing the garage is built with. Why is it important? The strength of metal garage buildings, and the contents they shelter, can be more susceptible to damage with higher gauge steel framing. Does it really matter? The short answer is yes. The lower the gauge, the stronger the framing. For example, the industry standard is currently the 14-gauge steel framing, which measures 2 ½ “x 2 ½” in diameter. We offer the 14-gauge steel as our more economical option. In addition to our 14-gauge steel, we also offer 12-gauge steel framing for all of our metal garage kits and metal garages for sale. The 12-gauge steel framing has a diameter of 2 ¼ “x 2 ¼ “and has higher wind load and snow load ratings due to its higher tensile strength. Both have the same measurement once assembled, however the 12-gauge is a stronger, thicker material. Given its added strength, we can also offer an extended warranty on the 12-gauge framing. 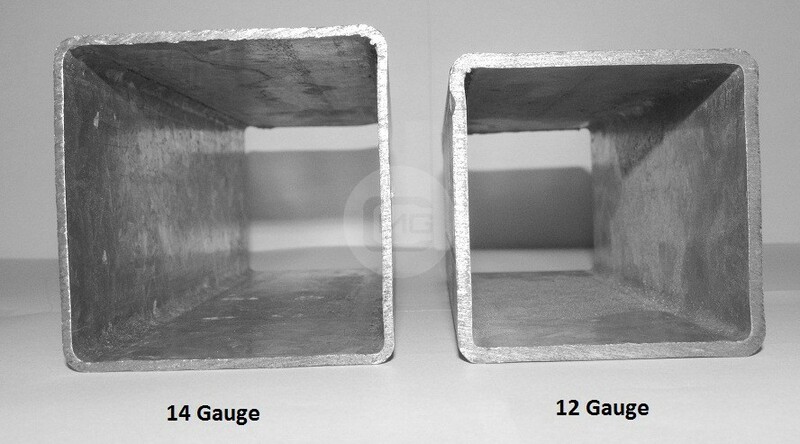 Which Steel Gauge Framing Is Right for You? This depends on your metal garage plans. Where will your garage be located? If you live in the Northeast part of the United States, heavy snow is something that you contend with each winter (and sometimes spring). Maybe you live along the East Coast, where your steel garage would encounter high winds from tropical storms. In these cases, a 12-gauge steel would be best. The 12-gauge steel framing is also recommended for buildings that are ten feet and taller. If you live in Southern California and would like to protect your vehicles or other belongings from the rain or the sun’s rays, a 14-gauge steel would work just fine for your needs. Do you live in an area that requires steel garage kits and other steel buildings to be certified? No problem. Both of these options are safe, structurally sound, and acceptable for most locations. However, depending on where you live, your state or local municipality may require that you use a 12-gauge steel framing. Be sure to confirm the requirements in your area before purchasing your metal garage. Installed garages and metal garage kits’ prices vary depending on the gauge you choose as well as a variety of other factors. Not sure what would be best for your new metal garage? We are here to help. Contact our friendly customer service representatives today to find out what steel gauge framing and other customization options would be best for your needs and budget.